If you want to get more traffic to your WordPress website, you need to optimize your website for SEO. Here’s how to optimize your website. You love the easy-to-use, efficient look and design of a WordPress website. You appreciate that it’s easy to brand your site, place images, and write new posts. The one thing that you’re not so sure about, however? How to optimize your website for WordPress when it comes to SEO and digital marketing in general. You don’t want to risk falling behind your competitors because of your lack of knowledge. If any of this sounds familiar, then we strongly suggest that you read this post. In it, we’ll tell you everything that you need to know about how to ensure that your WordPress-based website is still as SEO-friendly as possible. When you’re just beginning to learn how to optimize your website for WordPress, you might not think that the theme you choose will really have an impact on your overall SEO. However, because it directly impacts your site’s ease of navigation, design responsiveness, and even loading speed, it matters much more than you might think. There are plenty of SEO-friendly options out there. This essentially means that the theme using current coding standards is compatible with different web browsers and mobile devices, and can be easily integrated with social media. Remember that the overall intuitiveness of your theme will allow people to stay on your WordPress website longer — because they’ll be able to find what they’re looking for. Since the average website visitor stays on pages for less than one minute, anything above that will seriously influence your overall ranking factor. Another thing to keep in mind when you’re learning how to optimize your website for WordPress? Make sure that you’re choosing the most effective plugins. We stress “effective” here because an overload of plugins will actually slow down your overall website loading time. Still, selecting the right options will seriously boost your overall SEO score. Look for plugins that help you to create a sitemap, help you to create more SEO-optimized meta tags and meta titles, and connect you with the best keywords within your industry. 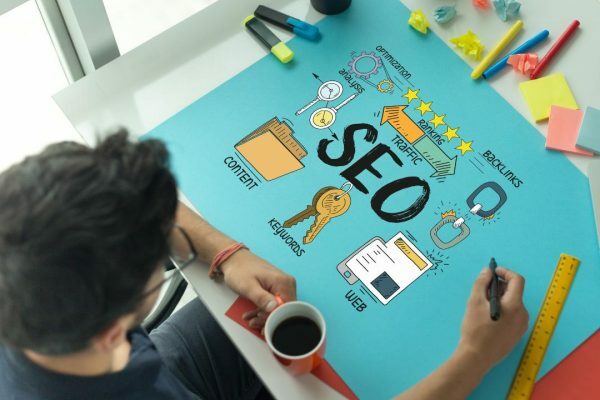 Some of the top SEO plugins for WordPress will also help you to increase your online security, beef up your website’s loading speed, and even better optimize your images for SEO. When you’re looking for how to optimize your website for WordPress, you’ll also need to consider what’s known as Permalinks. In a nutshell, Permalinks are just what people type into their website address bars when they’re trying to access your homepage and any internal pages of your website. See? SEO terminology isn’t always as complicated as it first seems. The good news about SEO and WordPress? You can actually change your Permalinks and rewrite them to make these internal pages easier to find. This can, of course, also help you to boost your SEO by including keywords in your Permalinks. To make them easy to read, we suggest that you separate words by using a dash. You can organize these Permalinks by the name of your post, the date posted, their post number, and much more. When search engines like the all-powerful Google crawl your website in order to better index it, they use the sitemap to be able to help them figure out what your site is all about. However, how can they work to index the individual pages of your website? First of all, heading tags are incredibly useful to your site visitors. This is because they break up your website’s content, making it much easier for them to read and digest. Additionally, they give you another opportunity to use keywords in your content, in order to get the attention of search engines. Remember, content that is designed around your most popular keywords is content that will help you to rank higher in the search engine results. We understand that you want to be able to understand how to optimize your website for WordPress. However, in between meeting with your clients, updating your brand’s social media platforms, and actually managing your employees, it can be tough to keep up with the ever-changing world of SEO. But especially when it comes to websites that use WordPress, it’s incredibly easy to fall behind your competition if you don’t dedicate enough time to your SEO strategy. Make an appointment with SEO professionals. These professionals not only know all about the latest changes to the Google Algorithm, they can also make sure that you’re keeping pace with current SEO trends. Above all, their expertise will help you to avoid being penalized by Google — and falling in the search engine rankings as a result. Looking for reliable and experienced SEO professionals? Click here for access to one of the top teams out there. Still Need to Know how to Optimize your Website for WordPress? We hope that this post has helped to eliminate some of the confusion that often comes with first learning how to optimize your website for WordPress with SEO in mind. Remember that it’s all about finding the right plugins, using headings to help Google to index your internal pages, and in some cases, hiring SEO professionals to get the job done. SEO is a dynamic and fast-paced world. Make sure you’re doing everything you can to keep up! Looking for more SEO and WordPress advice? Check out our website to learn how to optimize your website so you always rank ahead of the competition.